I recently had the pleasure of speaking to an elite group of business leaders at my chamber of commerce. Before speaking I took a poll on what aspect of their business they were most worried about. An overwhelming majority responded that they were concerned with follow-up failure. Lacking a thorough follow-up system is a silver bullet. Letting potential leads fall through the cracks could be costing you hundreds, if not thousands of dollars every year. Plus, if they’re not buying from you then they’re buying from your competitors. So stop thinking about getting more leads and focus on the leads you’re already getting but losing. So stop thinking about getting more leads and focus on the leads you’re already getting but losing. Because the thing is most agencies are getting enough leads. They just don’t think they are because they get them, call them once, email them twice, and let the leads die. I mean they didn’t respond so they must be uninterested, right? Wrong! The reality is most people are just too busy and they don’t have time to answer the phone or open that email at that very moment. That does not mean they aren’t interested or won’t be interested later though. This is why it’s so important to have systems in place to eliminate follow-up failure. You’ve got to continue to put yourself in front of prospects and you can’t stop because one day they’ll have the time, money, and interest and only if you’re there will they buy from you. 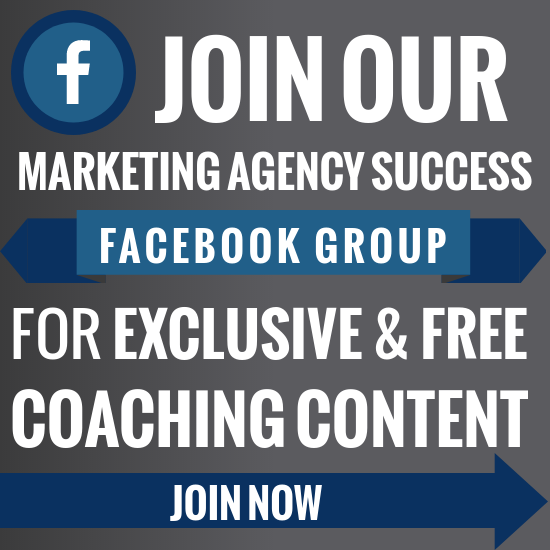 So get a system in place to harvest, store, and nurture your leads. There are no more excuses, especially when CRMs are so cheap now. Infusionsoft is only $100 a month. Once you have a CRM you can put leads directly into your system as soon as you come into contact with them. This can be done through web forms or text-to-lead. Snap App allows you to take a picture of a business card and put the information directly into your CRM. After the leads are in your CRM you can put them through different campaigns that nurture them until they’re ready to buy or die. I recently launched my Agency Blueprint, and some of my employees expressed their concern with getting business in the door. 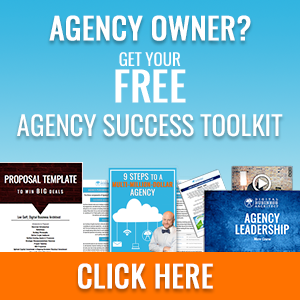 Luckily, long before the Agency Blueprint release, I began harvesting hundreds and hundreds of leads. Granted this took time and effort but it was an investment. Now, when my sales reps get on the phone and call prospects they’re much more responsive because they were harvested weeks and even months ago. Nothing has actually changed, the sales reps and the scripts are exactly the same. Except, the prospects they’re calling have already seen our brand 6-7 times just from our emails. They have gotten value from the information and resources we sent to them for free. They have seen our logo, read my name, and even visited the website. I didn’t worry about getting a sale right when I came into contact with them, and I didn’t feel deflated when they didn’t respond, the first, second, or even third time I tried to contact them. Instead, I focused on delivering value and putting myself in front of them over, and over, and over again. This allowed me to build trust slowly. So when my sales reps finally called there was already a relationship. Every time you get a business card, talk to someone at an event, or wherever it is you run across your leads, them make sure you get their name, number, and email address. Then make sure that information finds its way into your CRM so you can begin to deliver value and begin to form a relationship. Never let a lead fall through the cracks because you never know who your next best client will be. The number one thing you can do to grow your agency is have a system in place that eliminates follow-up failure. So spend a few hours and get Infusionsoft, MailChimp, Constant Contact, or some kind of CRM turned on. Just get all of your leads into a database that will allow you to send out high-value content regularly. Then don’t worry when people ignore you! Most people probably won’t even open your emails. They’ll see your name, see the subject line, and click delete. But the more this process happens, the more exposed to your brand they will become. 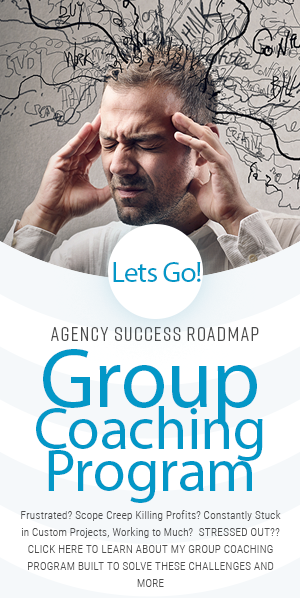 This will eventually take your agency from their short-term memory and move it into their long-term memory. This means when you call them and get them on the phone they’re going to know who you are and they will actually want to talk to you. Even if you don’t call them, they may respond to your email, or click through and purchase from your website but only when the time is right for them. Having a follow-up system in place will open up a floodgate of sales, not immediately, but eventually.